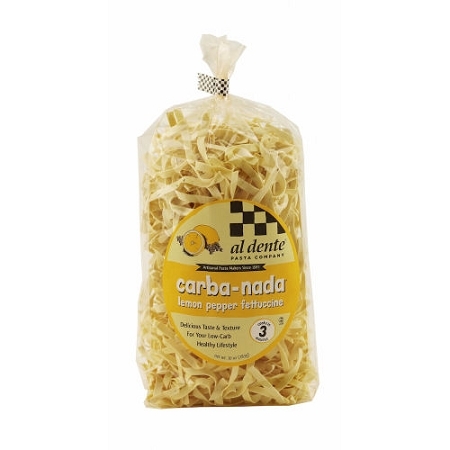 Carba Nada pasta is a lower carb pasta that can change your life! It's lower carb (24g), lower calorie (170), and higher protein (15g) recipe has become a guilt free part of healthy cooking. Diabetics report no spike in sugars. Kosher, vegetarian, and GMO free.